Today’s episode of Intercepted, Jeremy Scahill’s podcast for the Glenn Greenwald-founded online magazine The Intercept, mostly consists of an interview with Julian Assange, the ever-controversial head of Wikileaks. 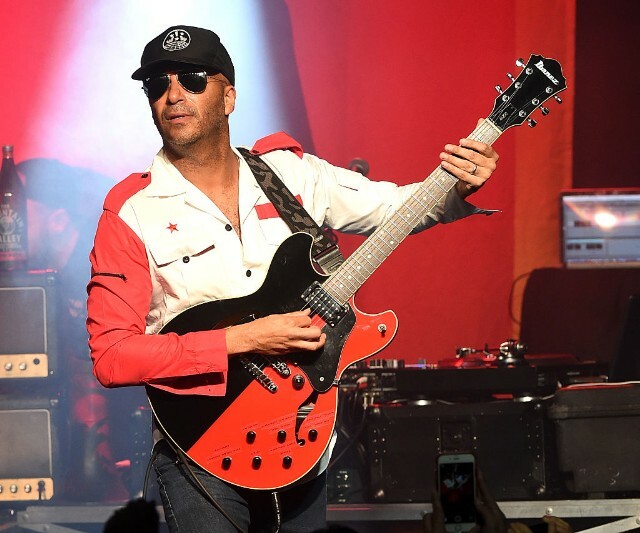 But there’s an Easter Egg for those who can make it through the first 34 minutes of Assange: the “world premiere” of a new track by Rage Against the Machine/Prophets of Rage’s Tom Morello called “Keep Going.” Scahill claims Morello just “sent [it] in,” and alludes to him as a “friend” of the podcast. Head over to The Intercept’s podcasts page to hear Morello’s song, which starts around the 33-minute mark. You can also listen via Apple Music/iTunes.